These are static images taken by my office webcams. 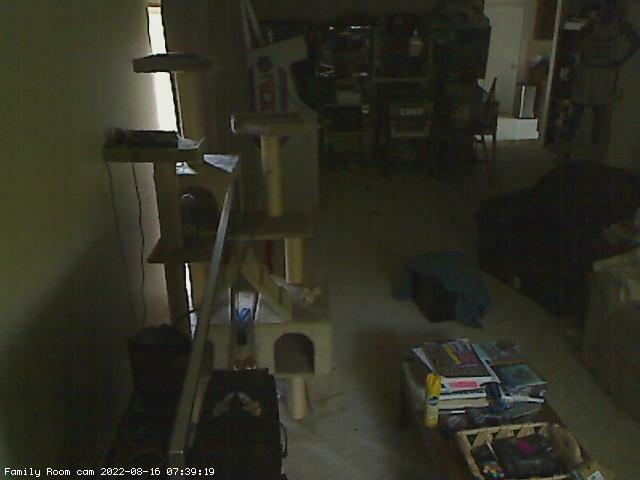 To see a live feed click on any image. 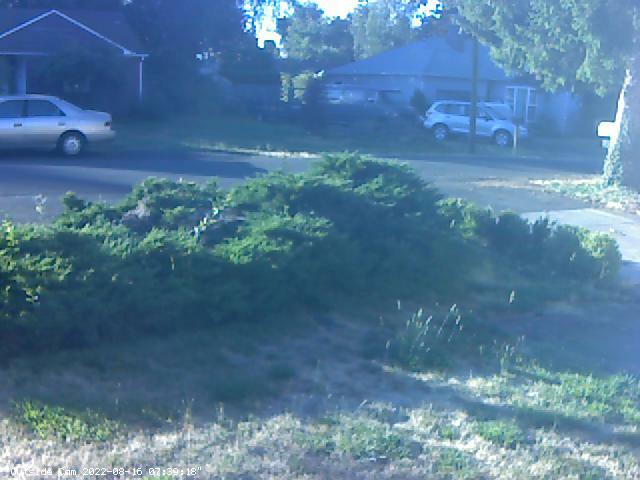 This image is from a Linux machine, with a Micro Innovations IC35CA camera I picked up at Newegg for $17, taking a snapshot every second or so. The camera sits on a rack next to my desk. If it's a nice day and I'm not here, I might be in the back yard with my laptop. 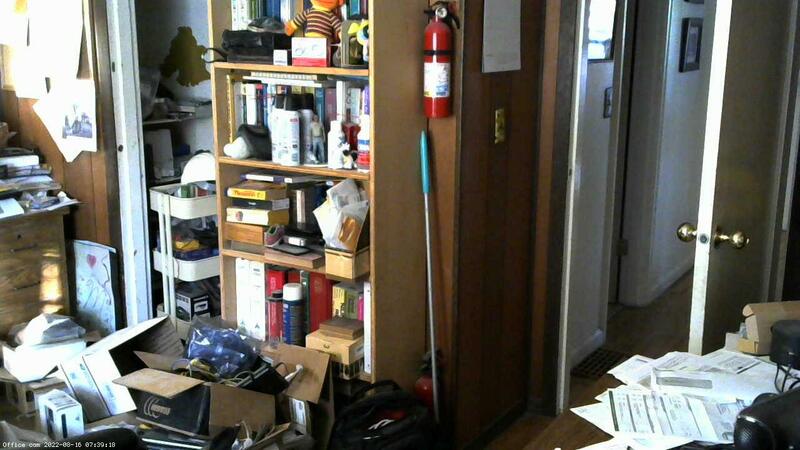 This image is from a Rosewill RCM-8164 camera I picked up at newegg.com on sale for $15. It's looking out the window in my home office. The image should update every couple of seconds. 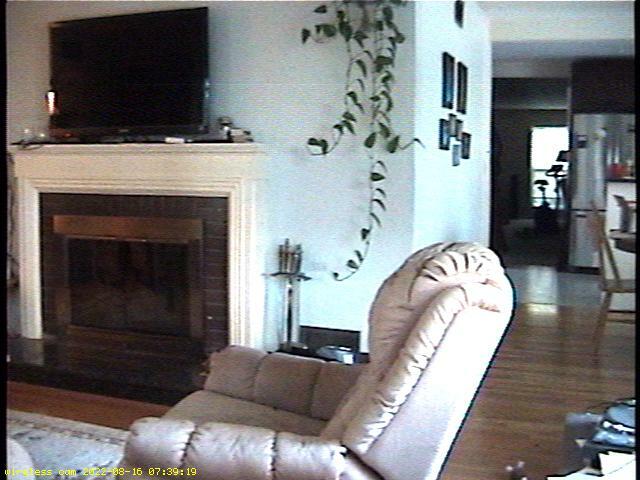 This image is from an X-10 wireless camera in the living room. The receiver is directly connected to the Web server and the image is digitized by a cheap video capture card. Currently there's an old Sony 8mm camcorder acting as the video source. This is the family room. This is a Logitech 9000 webcam hooked up to my MythTV box. The actual images are 640x480, or double the size of these snapshots. Some earlier images are archived here.